Restore Behavioral Health is a multidisciplinary behavioral health group practice offering innovative approaches to optimizing cognitive, emotional, interpersonal, and behavioral functioning. Our philosophy of care is uniquely founded upon the latest advances in the fields of neuroscience, clinical psychology, trauma-informed interventions, as well as neurophysiology and psychophysiology. RBH draws upon principles of functional and personalized medicine to combine a variety of effective clinical interventions that help to build peak performance and wellness. The Brain is amazing…always changing based upon our internal and external experiences. 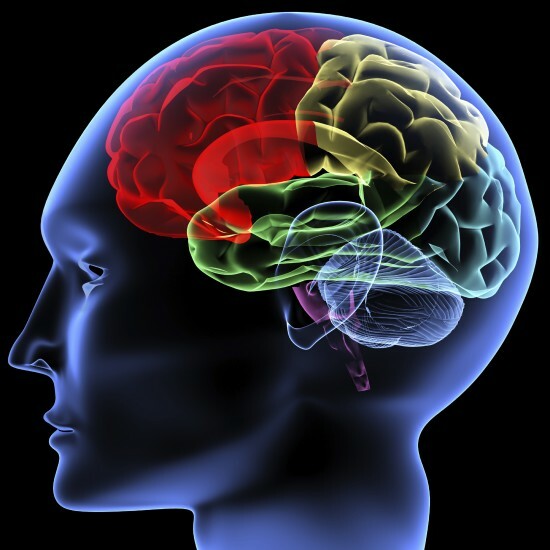 The RBH philosophy of care is largely based upon the principle of Neuroplasticity, or the brain’s ability to change itself and we each have the ability to develop and change our brain function, and thereby our overall health and well-being, by working to nurture, heal, and develop our brains. Optimal Brain Function is essential to optimal health, well-being, and cognitive and emotional functioning. Principles in neuroscientific research studies have taught us that “neurons that fire together, wire together”. This neurophysiological principle is referred to as Synchrony, or Coherence. When our brain function is optimized, it oscillates its energy patterns with balanced synchrony and flexibility. In this state, we are able to think more clearly, relate more compassionately, and reach our unique individual potential. When brain function is dysregulated, emotions are difficult to manage, relationships become conflictual, and goals remain unactualized. We know after decades of clinical research, that a chemical approach to the brain is only a partial solution. Adding psychosocial, psychophysiological, and neurophysiological interventions is essential if we are to optimize our brain function. RBH believes that it is important to address the cognitive, emotional, behavioral, and interpersonal needs of individuals throughout the lifespan. That’s why we offer psychological services to children, adolescents, adults, and the elderly, ranging from 2 – 102 years old. Throughout each stage of human development, it is important to optimize cognitive function, heal emotional distress, and nurture adaptive flexibility and resilience. The challenges are different at each stage of life, and it is important to optimize function at each stage by reducing stress, improving mood, and enriching cognitive function. Many children face developmental delays secondary to birth complications, medical difficulties, and histories of psychosocial dysfunction. Neurodevelopmental progress in children and adolescents is often impeded by impaired attention, impulse control, executive function, and/or auditory and visual processing. RBH works to support the optimal development of these essential brain functions so that the child/adolescent can succeed at home and at school. Adults find themselves coping with an onslaught of stressors ranging from workplace difficulties to parenting and family struggles to financial worries. Adults facing difficulties accomplishing their goals at home or work often struggle with unidentified areas of brain dysfunction which can be treated. And the elderly, are often dealing with depression, concerns about dementia, and coping with a wide variety of physical illnesses. Each stage of development deserves psychological support. With hierarchically sequenced, neurocognitive and neurophysiological challenges to the brain, we are able to develop areas of brain function further resulting in sharper focus, creativity, and efficiency. Different life stages present unique opportunities for cognitive, emotional, and spiritual growth. Healthy psychological function is a critical cornerstone for shifting flexibly through these stages so that unique potential and purpose can unfold. RBH believes that no two individuals are the same and that symptoms must be understood and treated within the context of each individual’s unique capabilities, experiences, functioning and goals. All too often, our health care system follows a “one size fits all approach” to symptom resolution. We know from particular reactions to medications and other therapies that each individual’s response to treatment is unique. Hyperactivity and Impulsivity in one individual can emerge from dysregulated frontal lobe function with impaired inhibitory control while the same symptoms in another individual can emerge from dysregulated sleep or a high stress environment. The treatment of the symptom depends upon the conceptualization of the factors contributing to the emergence of the symptoms. We know from research, for example, that approximately one third of children presenting with hyperactivity actually respond successfully to treatment with psychostimulant medication. The other two-thirds are either non-responsive or experience deleterious side effects to these medications. RBH offers a comprehensive, assessment based approach to individually tailor a treatment approach that seeks to optimize functioning and well-being. Clinicians at RBH believe that each individual has an incredible potential and ability to heal. Optimal wellness is a product of complete self-actualization. Overcoming wellness barriers requires shifting brain, mind, and body function. This translates into improved energy, creativity, and motivation. RBH strives to help each individual tap into his/her strength and adaptive resilience in order to improve progress toward wellness goals. We seek to help the individual create a Brain Fit – Body Fit – Mind Fit lifestyle. This ever-evolving journey allows people and their communities to actualize purpose and passion. All too often, the field of medicine has become overly compartmentalized. We cannot treat the brain in isolation; we must treat the deep connections between the Mind, Brain, and Body. This triad of well-being requires daily nurturing and healing areas of dysfunction which thwart optimal well-being. RBH approaches the Mind through developing more adaptive self-regulation of the Brain and Body. You can’t have a healthy brain without a healthy body, and you can have a healthy body without a healthy brain. And the mind-state which governs thoughts, emotions, identity, spirituality, passion, purpose and relatedness can only be healed and developed within the context of a healthy brain and body. Each of these three elements of well-being deserves individual and combined treatment interventions. Many psychological conditions exacerbate medical and physical health conditions. Stress is now recognized as an independent risk factor for illnesses ranging from heart disease and chronic pain to asthma, hypertension, cancer and diabetes. Healing the Mind and Brain becomes critical to healing the body. RBH pulls from the latest in the fields of mindfulness, neurophysiology, and psychophysiology to help the patient shift toward this healing. The goal of Functional Medicine is to identify the “Root Cause” underlying the presenting symptoms. RBH integrates this approach toward our clinical interventions, seeking a comprehensive, Assessment-Based identification of the core issues underlying the difficulties. This requires time intensive and individualized Neurophysiological, Neuropsychological, Neurodevelopmental, and Health and Behavior Assessments as well as carefully coordinated referrals to other collaborating health care professionals who can assist in the identification of contributing neurological, gastrointestinal, endocrinological, and biomedical factors. There is incredible overlap among the various physiological systems in the brain/body. The gut has been referred to as “the second brain” given the significant impact that healthy gastrointestinal function has upon cognitive and emotional functioning. Sleep Disorders account for a significant degree of variance in the symptoms of ADHD, Depression, and Memory difficulties. Chronic Pain, Obesity, Migraines, Fibromyalgia, Gastrointestinal difficulties and Hypertension are intricately linked to psychological stress. A Functional Medicine approach seeks to target natural, holistic clinical interventions for returning to optimal self-regulation of health and well-being. RBH believes that each case is unique and that there is not one approach that fits all. Our comprehensive assessments allow for us to incorporate a Personalized Medicine approach to behavioral health which can capitalize on each individual’s strengths. This individualized approach includes developing a Brain Healthy Lifestyle that can help support progress in building more efficient brain function. RBH believes that the solution lies within the individual’s power of self-regulation and that combining clinical interventions is more effective than utilizing one approach alone. No man, woman, or child is an island unto himself. RBH believes that each individual’s psychological well-being is deeply impacted by relationships with others. Employing an Interpersonal psychology approach, we seek to optimize function in family systems and relationships with significant others. Past relational trauma must be healed for the individual to develop a safe and secure base for moving forward into their complete potential. Optimal psychological well-being emerges within the context of healthy, compassionate relational support. RBH offers family and relational psychotherapies to assist in improving relationships between children and their parents, between spouses , and within other significant relationships with friends, relatives, and co-workers. Healthy communication and conflict resolution patterns are essential to practice within the context of compassionate, loving, secure, consistent interpersonal bonds. We at RBH feel that clinical coordination between specialties is critical. RBH seeks to coordinate care with primary care physicians, pediatricians, neurologists, psychiatrists, and other health care professionals in order to ensure that the patient’s care does not become arbitrarily segmented. Likewise, RBH pulls from many disciplines of psychology, social work, occupational therapy, and clinical neuroscience in order to arrive at integrative treatment approaches that will more powerfully impact multiple systems of function.